I haven't had a chance to try the Oxtail Ramen at Ramen Nakamura in Waikiki, but I have no doubt Ton Ton Ramen's is a fierce competitor. I am obsessed with their Oxtail Ramen. Let me explain to you what happens to the oxtail. After being simmered for hours, the meat softens and the cartilage/bones/marrow release their flavor into the soup. What you end up with is a rich, clear, silky broth that is oh-so delicious when slurped up with rice (or ramen in this case). There can be disappointing oxtail broths that are just too salty for anyone's liking, but at Ton Ton, it's anything but. Another oxtail soup that could rival Ton Ton's is at Sunrise Restaurant first seen here. Still have yet to check out Asahi Grill, supposedly voted "Honolulu's Best," and of course, really want to try Ramen Nakamura's highly infamous Oxtail Ramen. I'll get on it and get back to you! Served with grated ginger and an option of ramen or rice! I love the fact that this one is topped with a generous amount of parsley. YUM! 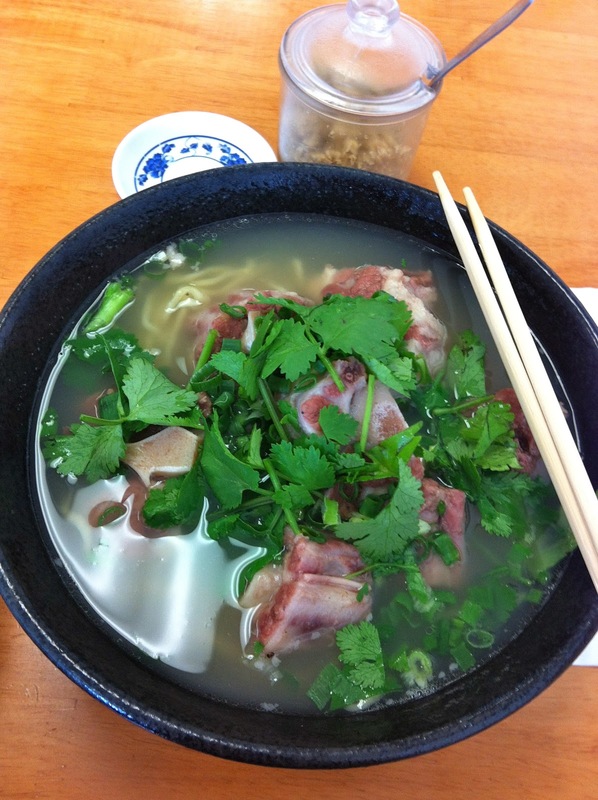 OOOH, I love oxtail soup with tons of chinese parsley and peanuts. I think the only reason why I go to the Cali in Las Vegas is for their oxtail soup. I have to try this one out. I am so hungry, I wish I could go now!